George Will, you made a funny! An article at The Daily Caller reports that radio host and occasional O’Bloviator fill-in Laura Ingraham commented that the tea party doesn’t have the great strength that the old media believe they have. With all due respect, Ingraham’s entitled to her opinion. But…I disagree with her. The tea party movement has matured into a more informed and politically active citizenry whose principles of limited government, fiscal responsibility, balanced budget, and adherence to the Constitution have not changed. They’re not out carrying signs, so they’re less visible, but they’re effective in other ways that we’ll see reflected this November with wins in the Senate, House, and state legislatures. But here’s the best part of the story. George “I should stick to baseball” Will advises that Romney would be wise to pick a “tea party” type for a running mate. I laughed out loud when I read who he thinks is a “tea party” type. Washington Post columnist George Will didn’t completely agree that the tea party has lost it’s strength. He suggested that Romney should pick a tea party running mate, and said the grassroots should focus on winning in the Senate until they have stronger national candidates. Will said that it might take someone like New Jersey Gov. 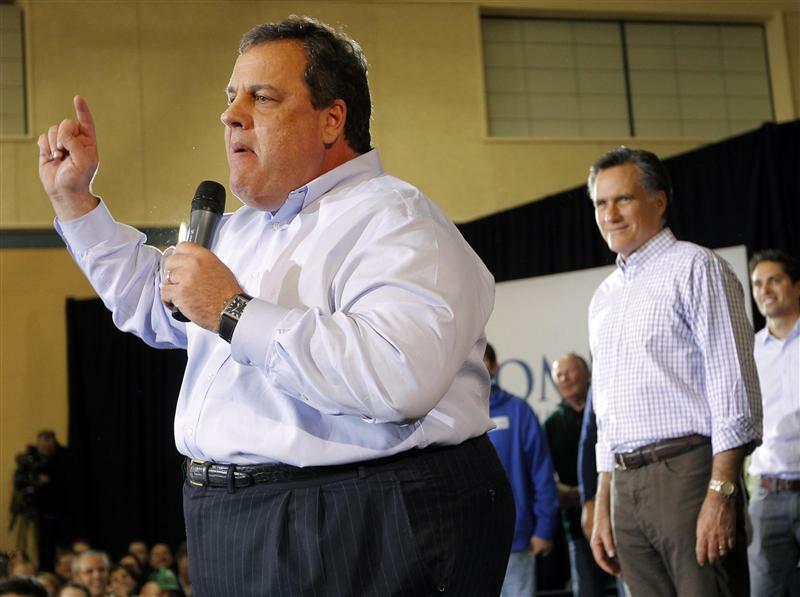 Chris Christie to be Romney’s tea party ticket connection.